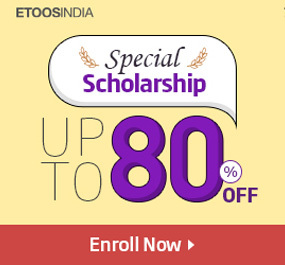 Etoosindia, the pioneer in online education, is particularly known for offering excellent iit jee crash course. The institute offers comprehensive year-long courses on all three subjects to prepare the students thoroughly for their exam. It also offers crash courses in physics, chemistry, and maths to clear the basic concepts of these subjects and lay a strong foundation for the students aiming to appear for JEE Main and Advanced. If you are planning to sit for JEE, it is a good idea to opt for Crash Courses for JEE Main and Advanced from Etoosindia to build a strong base. It is only when your basics are clear you can learn the advanced concepts more efficiently. Opting for these courses will take you through rigorous training in the subjects you are tested on in JEE. 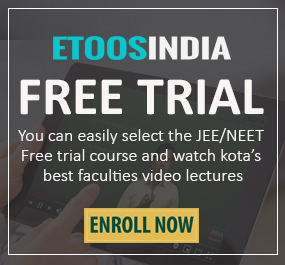 Etoosindia has collaborated with the top JEE faculties from Kota to provide excellent coaching for JEE Main and Advanced to students living in every nook and corner of the country. The courses available here have all been designed and delivered by these learned and experienced faculties after thorough research and are thus best for the preparation of the Joint Entrance Examination. Which crash course is helpful for JEE Main & Advanced? The lectures are high in quality. Both audio and visual quality of these lectures is excellent thereby offering a smooth learning experience. These lectures are delivered in a language that is easy to comprehend. The students can choose to opt for these courses in four different modes that is Mobile, USB, VOD. These courses are a good way to prepare for the tough JEE as they do not only offer quality education but also give you the flexibility of choosing your time and place of study. 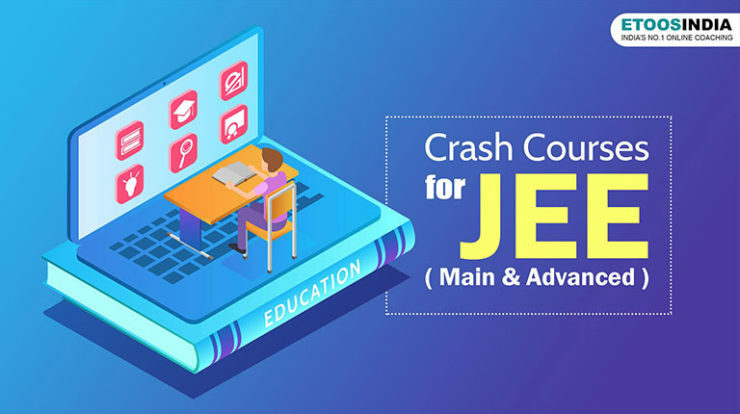 JEE Crash courses are available for a duration of 365 days or less. You can study at your own pace learning each topic step by step by opting for these lectures. In case, a student finds it hard to understand any point in the lecture, he can clarify his doubts by way of Etoosindia’s doubt clinic forum. This forum has especially been designed to allow the students to ask questions directly from the faculty members. The procedure to key in the query is simple and the answers are provided within no time. So, if you are still mulling over how to begin preparation for JEE Main 2019 then go for Etoosindia’s Crash Courses for JEE main and Advanced to brush up on the fundamental concepts and kick-start your preparation. Conclusion: Time is running out; now require the quickest preparation for JEE. This crash course will help student for the preparation of JEE Main in a short time. Etoos India wants that student to work harder in the last few months, which will give a direction for their future career. To get the latest update on the JEE Exams, keep following Etoos Blog.